FAIRFAX-Steve Cothalis, 43, who in January 1998 survived a fall of hundreds of feet down Maine's highest mountain, has set himself yet another incredible climb. Descrlbed by friends and family as an exceptionally inspiring, brain-injury survivor, Cothalis, on Sunday, will begin hiking the entire length of Vermont's Long Trail. The 270-mile walk by the man who nearly died in a 600-foot fall down Mount Katahdin's icy and rocky slope is expected to take a month. 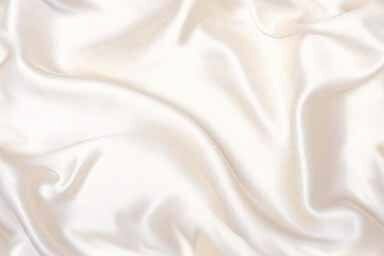 Cothalis was in a coma for five weeks following the Jan. 26, 1998 fall and had frostbite so severe that he nearly lost his toes, fingers and left hand. The registered respiratory therapist, who still works on a limited basis, has spent the past four years on his own recovery. Obviously, the journey back to the hiking trail has required true grit. Now, however, Cothalis says he is ready to launch the Cothalis Activities Recreational Therapies (CART) Scholarship Fund. He said he is also undertaking the walk to help support the Brain Injury Association of Vermont (BIAVT), the mission of which is to create a better future through brain injury prevention, research, education and advocacy. More than 5 million Americans already suffer from traumatic brain injuries, and 1.5 million annually are added to that number. In a statement found on the BIAVT Web site (www.biavt.org), Cothalis said, "I have a real love for hiking and climbing. My hope is that other brain injured survivors will beneflt from recreational activities with the help of the CART Scholarship Fund. "After a brain injury, it's common for survivors to lose their sense of self. Recreational activities are not only fun, they help defne who we are, provide a sense of accomplishment, plus enhance self-esteem. Those are exactly the benefits I experienced from participating in recreational activities." The CART Scholarship Fund, perhaps fittingly, could help to cover the cost of brain injury survivors' participation in an indoor climbing-wall program. In fact, Cothalis is set to hold a press conference Friday about his upcoming trek at Climb High, which has such a facility. 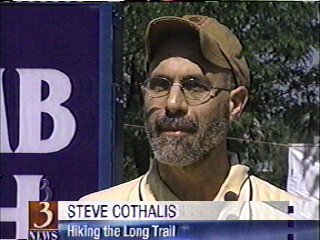 For now, however, Cothalis' bid to conquer the length of the state's Long Trail is the answer to a promise he made himself four years ago. In a May 1998 interview with the Messenger, he said, "I can't wait to go hiking again. You never feel as free anywhere as you do when you go hiking.... No one is going to tell me this is what you can do and this is what you can't do. It's all up to me. There are no rules, so I make them up." That May, he managed to run, frst just 10 feet, and then closer to 500 feet. "It was tough, but it felt good," Cothalis said then. That Cothalis even survived the ordeal might have been enough for most people. On Monday Jan. 26, he was descending Mount Katahdin with his older brother, Lou, and friends. He slipped and disappeared from the view of his fellow hikers. He had no recollection of the fall or the 13 hours he spent in subzero temperatures after it. In addition to the traumatic brain trauma and frostbite, he suffered extreme blood loss. Nearly 100 people were involved in bringing him down the mountain to medical help. Cothalis' wife, Grace, later arrived in Maine and learned the full extent of her husband's injuries. Cothalis credited her with saving his fugers and toes. Doctors wanted to amputate them, but she argued against it. Four weeks after his fall, Cothalis was flown to the Burke Rehabilitation Center in White Plains, N.Y. He spent seven weeks there before he was well enough to return home for therapy. One of the first things he did upon returning home was to visit with the people of Fairfax who helped his wife during her absence. Neighbors looked after the house, and people throughout town offered assistance and support. Now, with the opportunity to help others, Cothalis is wasting no time. Of his Long Trail walk, he said, "I've been given a second chance-trading a precious day of my life every day to pursue my dreams. The biggest is a full recovery." Having achieved his goals of again driving a car and returning to work, he said he is looking forward to teaching and showing other brain injury survivors that their disabilities are not necessarily insurmountable. Chris Pratt, founder of BLAVT, in a statement issued on his group's Web site, said, "Steve personifies the difference between a survivor and a thriver. This walk should send an inspirational message to all those who say "I can't." To make a donation to the CART Scholarship Fund, make checks payable to Brain Injury Association of Vermont (CART fund) and send them to the group at PO. Box 8388, E:ssex Jct., Vt. 05451.